The S.A. Vaal (30,212 grt, 760 ft. long) was originally the Transvaal Castle, sailing on her maiden voyage from Southampton to South Africa for Union-Castle Line in January 1962. Four years later she was taken over by South African Marine Corporation (Safmarine) though remaining on the same route and still managed by Union-Castle. In February 1966 registry was transferred to Cape Town. She made her last voyage for Union-Castle-Safmarine on 2nd September 1977 and was withdrawn from service on her return and sold to Festivale Maritime Inc. a subsidiary of Carnival Cruise Lines of Miami. Rebuilt at Kawasaki with extra decks and renamed Festivale she joined the Mardi Gras (ex Empress of Canada) on their 'Fun Ship Cruises'. In 1978 she cruised in the Caribbean based in San Juan, Puerto Rica and in 1982 was based in in Miami operating 7 day cruises to Nassau - San Juan - St Thomas. She was acquired by Premier Cruises of Port Canaveral in 1996 and renamed Island Breeze operating for her owners in the Caribbean during the northern winter and on charter to Thomson Holidays in the Mediterranean during the summer. At the beginning of 2000 she was renamed Big Red Boat III as part of Premier's corporate identity. However, in September 2000 Premier Cruises ceased trading and the ship was seized by creditors for non payment of debts. She was sold in 1977 to Carnival Cruise Lines, rebuilt and renamed Festivale for Caribbean cruising from 1978. 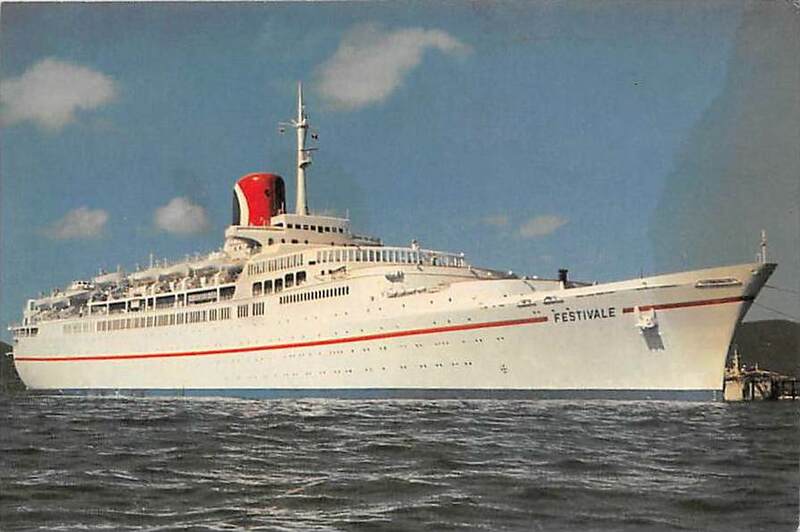 S.A.Vaal was withdrawn in Southampton on October 10th, 1977 and sold to Carnival Cruise Line, who rebuilt her in Japan with extra decks, almost doubling the passenger capacity. The external appearance was not spoilt, however, and she has remained the handsome ship of Union-Castle days. Internally, the public rooms were much changed from the traditional liner. 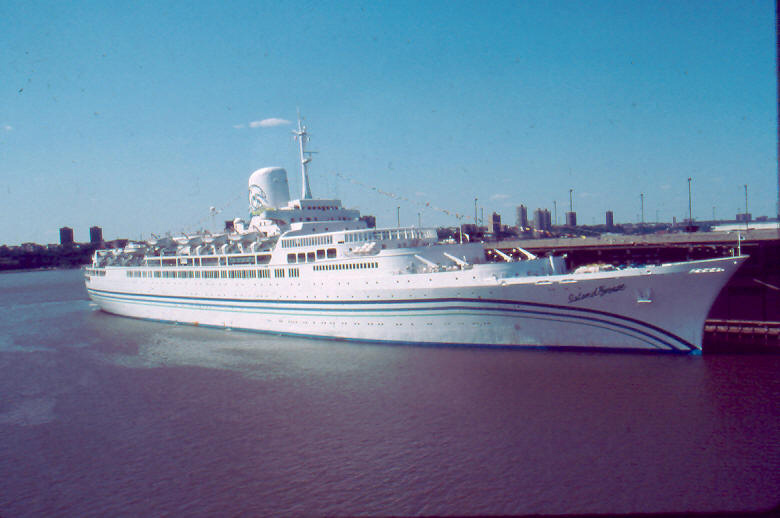 She returned to service in 1978 as Festivale, on Caribbean cruises in partnership with ex-Canadian Pacific liners Mardi Gras and Carnivale, revolutionising the cruise industry. Featured entertainers on a recent voyage of SA Vaal were the SA Vaal Flappers. Foreground: Judy Nelson (Children’s Hostess), and Gill Fraser (Junior Purser). Standing at the back: Nigel Nussey (Second Purser Catering). 1977 sold to Carnival Cruise Line, Miami, renamed Festivale.